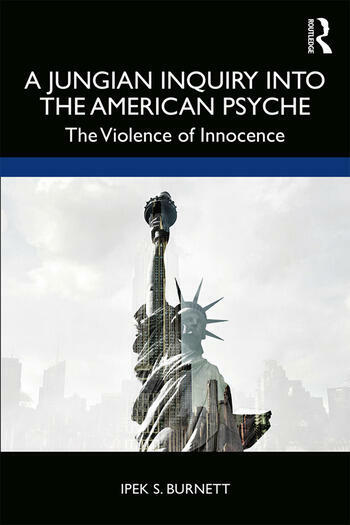 In A Jungian Inquiry into the American Psyche: The Violence of Innocence,　Ipek Burnett’s penetrating cultural criticism enriched with psychoanalytical and Jungian insight offers a timely interrogation of national consciousness in the United States. Through evocative storytelling, Burnett unpacks the images and myths that run deep in the American psyche—from that of the New World, the city upon a hill, the Manifest Destiny, the melting pot, to the pursuit of happiness. On this backdrop, she investigates the vicious cycles of innocence and violence that have dominated American history and continue to reinforce systematic oppression in America, evident in racial and economic inequality, xenophobia, materialism, and more. Burnett’s thought-provoking analysis exposes the ways in which psychological defenses such as historical amnesia, projection, denial, and dissociation work on a collective level, helping America avoid a confrontation with these violent truths of its past and present circumstances, and its national character. With its seamless multidisciplinary approach and revealing insight, this book will be of great interest to psychologists, scholars, and students of Jungian and post-Jungian thought, depth psychology, cultural and American studies. Eloquent and accessible, it will engage readers who strive to be self-reflective, well-informed global citizens. Ipek S. Burnett, PhD, is a Turkish-American author who provides a depth psychological critique of social, cultural, and political issues. Based in San Francisco, she works with human rights organizations and writes novels in Turkish, her native language.